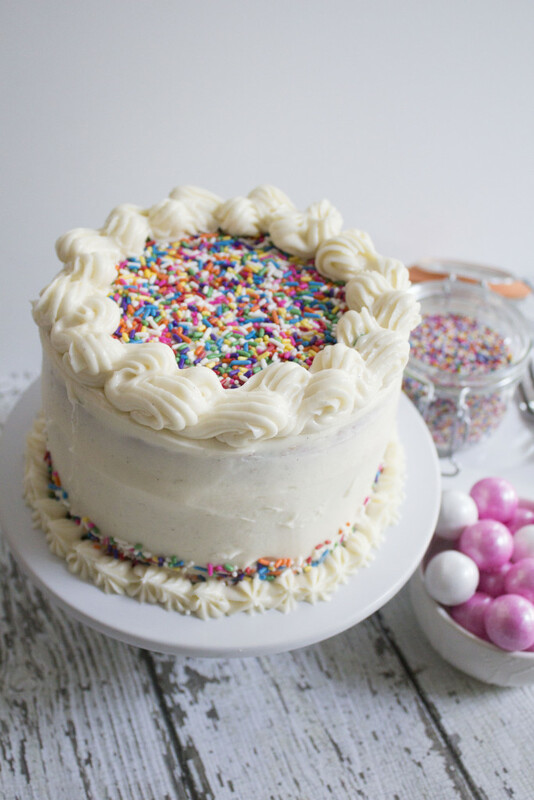 This Strawberry Cream Cake is made with ripe, fresh strawberries that are mixed with lemon juice, vanilla, and sugar and sandwiched between lightly sweetened homemade whipped cream and light, fluffy, moist layers of a buttery vanilla cake. 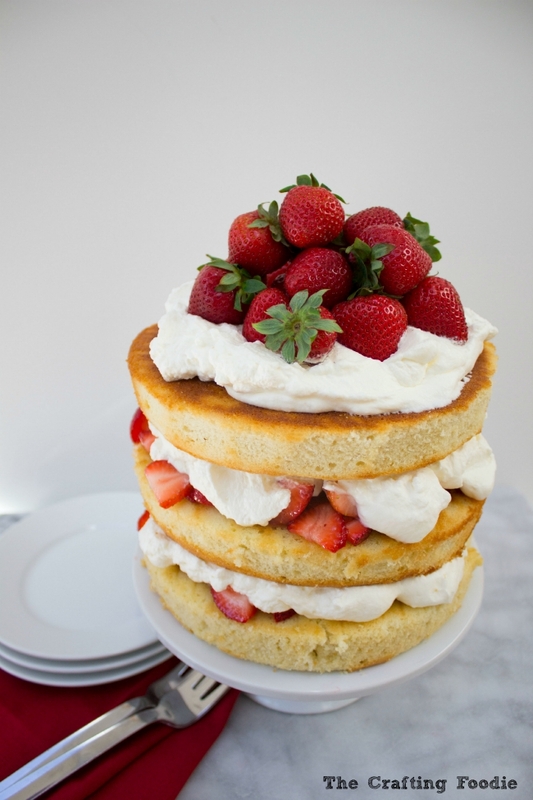 If there’s one last summer recipe you’re gonna make, make a Strawberry Cream Cake. 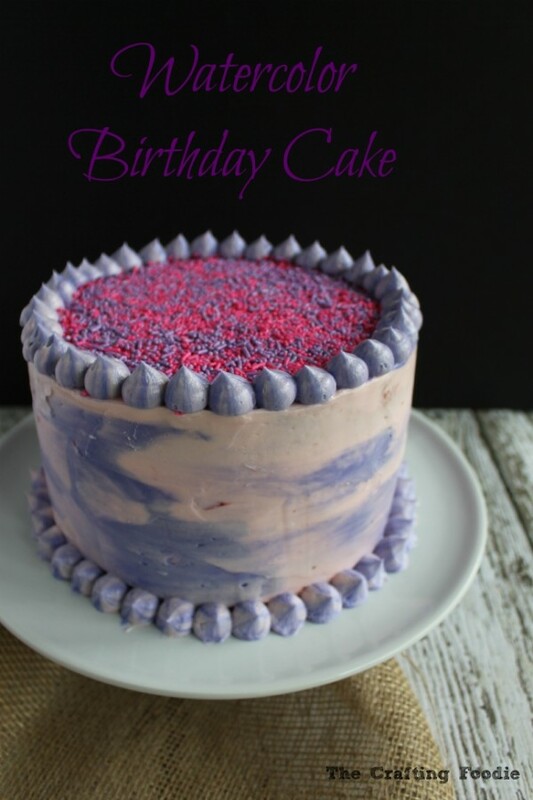 A perfectly tender, buttery, moist, vanilla cake is topped with the fluffiest pink and purple vanilla frosting using a simple technique to make the most stunning Watercolor Birthday Cake.